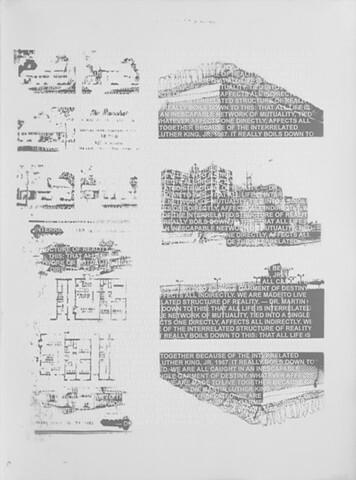 Printed on paper are images of housing: Black - high-rise public housing development and prisons; White - suburban developments with government financing. Printed on translucent vellum overlay is wording from Dr. Martin Luther King Jr.'s "A Christmas Sermon on Peace", 1967. ".....All life is interrelated....".